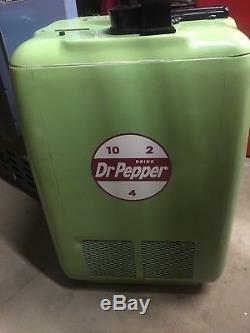 Up for sale is a 1941 Dr Pepper gubersion. 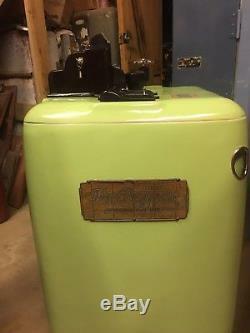 Roulette machine , machine has been restored with new insulation, new cooling unit. 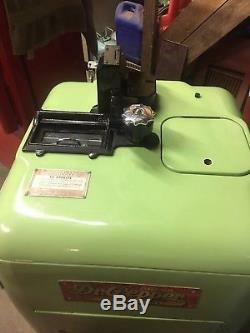 Rebuilt coin mechanism, new wiring harness, has been taken down to bare metal primed and painted with ppg single stage paint the Dr Pepper plate on the front is the original one and I left it in its original condition this is a very rare machine. The item "Coca Cola / Dr Pepper Gubersion Roulette Machine" is in sale since Tuesday, January 8, 2019.